If My People Will . 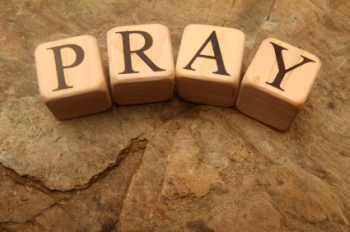 . . Pray . . . I think all of us can agree that our country needs God’s healing touch. He tells us in this scripture what followers of Christ, the Church, need to do before healing can take place. In my previous post, we looked at the first step: humility. Now let’s have a look at the second: prayer. For things to change in this country, we must pray. Instead of setting out on our own by getting involved in politics, signing petitions, and more, we need to start with prayer. God may lead us to do those things, but only he can change things. We need to turn to him first.